The 2014 Pinot Noir van der Kamp Vineyard is endowed with a real sense of mountain structure and tannin. 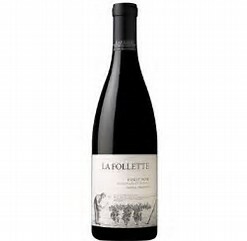 One of the more savory wines in the lineup, the 2014 offers up a compelling melange of iron, smoke, herbs and gravel that complement the deep, pungent fruit. Even with all of its intensity, the van der Kamp remains lifted in style, like all of the Pinots here. This is a distinctive, hauntingly beautiful wine from Greg LaFollette.